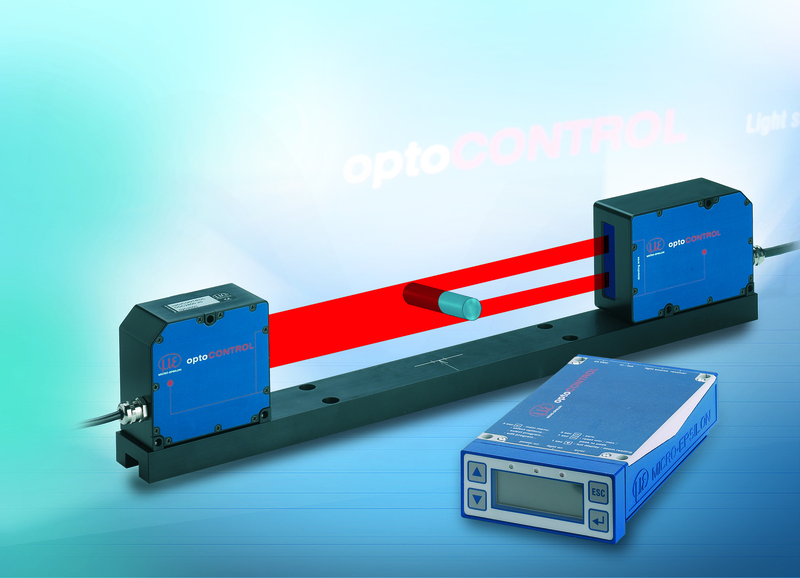 The optoCONTROL 2600 has been enhanced with some important new options. These make the high resolution LED micrometer from the high performance Micro-Epsilon series even more flexible in terms of its use. As well as the maximum working distance, the distance between the light source and the receiver have been enlarged, while retaining high precision measurements. Furthermore, a lateral cable output is now available for this model. The optoCONTROL is a measurement system with an internal high resolution CCD camera, which enables measurements of the outer contour of an object with absolute precision. The optoCONTROL consists of a light source, a receiver and a controller. The intelligent controller with graphical display controls the sensor unit and evaluates it. The data received is output via digital or analog interfaces. Amongst other things, edge positions, gaps between two measurement objects, and the outside diameter of objects can be determined. The new model options, 209 and 210, of the optoCONTROL 2600 series, enable absolute flexibility in terms of working distance. Therefore, the maximum distance between light source and receiver is now 400 (±50)mm and has therefore been enlarged by 100mm. The maximum working distance between the object and the receiver can be used in a range of 200 (±50)mm and so has been extended by 50mm. This enables measurements of objects with large diameters, e.g. the roller gap of large rollers can be easily measured. Naturally, the measurement results are still provided at the usual high precision. The 210 model option has an additional new feature. The installed cable connection is now offset by 90° and is placed sideways rather than at the back of the device. With this option, the optoCONTROL 2600 is ideally suited to particularly difficult installation scenarios. In addition to the system enhancements, the new 3.4.3 version of the OCD tools is also available. As well as its existing functions, the number of lines is now freely selectable in the protocol file. Furthermore, data reduction is separately adjustable for snapshots and the protocol file.